2U, Inc. and the EGADE Business School at Tecnológico de Monterrey Partner to Deliver a New Online MBA | 2U, Inc.
MONTERREY, Mexico and LANHAM, Md., Feb. 11, 2019 /PRNewswire/ -- 2U, Inc. (Nasdaq: TWOU), a global leader in education technology, today announced a new partnership with Latin American business education leader, EGADE Business School at Tecnológico de Monterrey, Mexico, to deliver an online MBA for global business professionals. EGADE MBA Online is 2U's first full degree program in Latin America and expected to launch in Fall 2019. 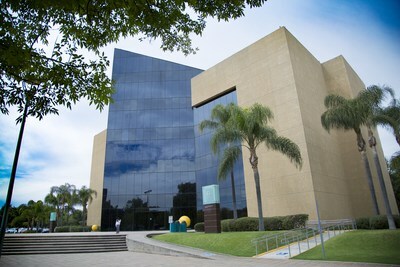 "Our partnership with 2U, a global education technology leader, enables us to provide a new opportunity for talented professionals, regardless of their location, to experience a unique EGADE MBA off-campus experience, immersed in our distinctive entrepreneurial and innovative learning culture, and globally recognized highest academic standards," said Ignacio de la Vega, dean of EGADE Business School. "By continuously incorporating new formats and experiences in our academic portfolio, we reinforce our institutional commitment to remain at the vanguard of global business education and fulfill our mission to empower omnipreneurial leaders who create shared value and transform society." "Tecnológico de Monterrey´s EGADE Business School has a long tradition of breaking down geographical barriers in its quest to develop global executive talent, and our new partnership will extend that reach even further," said 2U President of University Partnerships and Services, Andrew Hermalyn. "We are thrilled to expand our existing relationship with Tecnológico de Monterrey by partnering with EGADE Business School and contributing to their strategic vision for the transformation of business and society in Latin America and beyond." EGADE Business School is a member of an elite group of just 1 percent of business schools worldwide to hold the acclaimed "triple crown" of global accreditation that recognizes business education excellence: the Association to Advance Collegiate Schools of Business (AACSB), the Association of MBAs (AMBA), and the European Quality Improvement System (EQUIS).